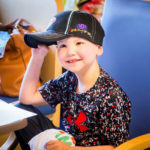 To kick off the Liberty season, players volunteered with various charities on May 10th to give back to their communities. 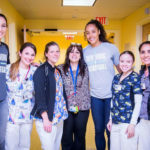 We were very excited that Liberty players, Rebecca Allen and Nayo Raincock-Ekunwe visited our patients and staff at Hackensack University Medical Center. 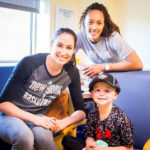 Check out photos from the New York Liberty visit to the Children’s Cancer Institute.